Apple on Tuesday announced ongoing advances in an effort to make its Chinese supply chain environmentally friendly, throwing a spotlight on Lens Technology, the first Chinese supplier to commit to a clean energy process for components manufactured for Apple products. 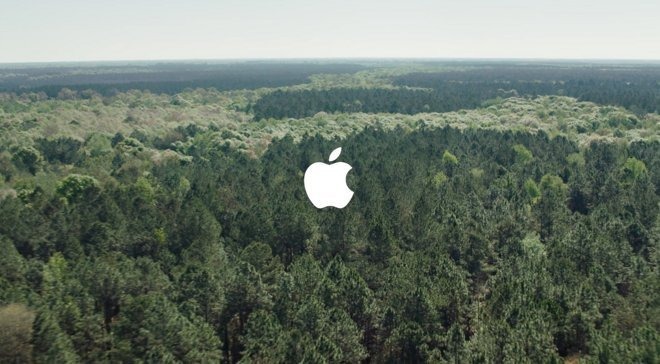 As part of the commitment, Lens Technology will power all glass production for Apple with 100 percent renewable sources by the end of 2018, Apple said in a press release. Lens intends to meet its goal by powering its facilities in Changsha with clean power purchase agreements and renewable energy sourced from local Hunan wind farms. "Our power purchase agreement is the first of its kind in southern China and we hope it will serve as an example for other companies looking to transition to cleaner, more economical sources of power," said Lens Technology CEO Zhou Qunfei. On a broader scale, all 14 of Apple's final assembly sites in China are compliant with UL's Zero Waste Landfill standard. Adherence to the program has saved 140,000 metric tons of waste from entering landfills since 2015, Apple said. To be verified under UL's standard, all manufacturing waste must be reused, recycled, composted or converted into energy. "We want to show the world that you can manufacture responsibly and we're working alongside our suppliers to help them lower their environmental impact in China," said Lisa Jackson, Apple's vice president of Environment, Policy and Social Initiatives. "We congratulate Lens for their bold step, and hope by sharing the lessons we've learned in our transition to renewable energy, our suppliers will continue to access clean power projects, moving China closer to its green manufacturing goals." Apple has targeted China, whose major industries are notorious for disregarding environmental concerns, as a region for action after intense pressure from NGOs and private environmental organizations. The company is working with partner suppliers to install more than 2 gigawatts of new clean energy sources over the next few years in efforts to lower the carbon footprint created from its massive manufacturing operation. In addition, Apple said its main supplier Foxconn is working toward completing the first 80 megawatts of what will be a 400-megawatt solar project in Henan province. The Taiwanese manufacturing giant committed to Apple's environmental vision last October, setting a due date for the solar farm in 2018. At the time, Apple had just announced that its Chinese operations, which include retail and corporate offices, had reached carbon neutral status.